If you had to chose only one makeup product to keep, what would it be? For me it would be eyeliner! The reason I chose this is, because eyeliner was the first makeup product I've ever worn. I do have makeup (eye shadows) that I've practiced with and worn outside before. I even did my own prom makeup before but, that's not the point. Basically nothing could replace my love for my eyeliners! I'm a simple kind of girl, so eyeliner is just the pop of color I need for my eyes to stand out! I do have the basic color black, but I also have colors that stand out. I did a post on a eyeliner set, here's the link: Eyeliner set. 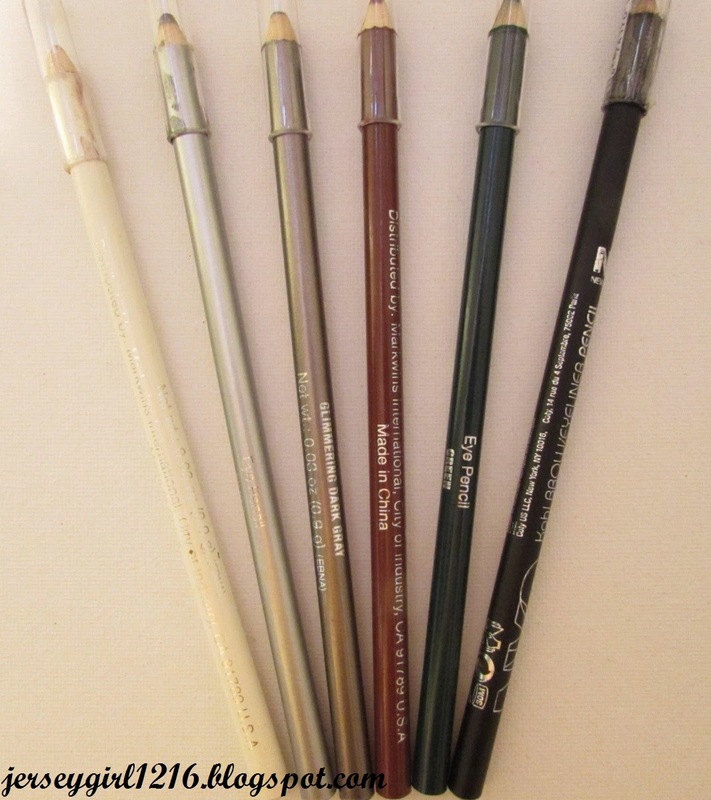 I still have this set of eyeliner, although I have lost two colors, my blue and black. I always replace my black eyeliner, because it's the most basic color and because I lost the one from my set! I am looking to buy more colors like purple, teal, and others. I am looking to expand my eyeliner collection. So maybe I have a post on that! I've been practicing makeup looks to posts on my blog, so those colors would go great. I also may recreate popular looks I have seen on the computer from YouTube and Pinterest!